Discussion in 'iPhone and iPad Games' started by touchy85, May 20, 2015. This is absolutely fantastic, without a shadow of a doubt, it's the best game releasing tonight (of course, in my opinion). 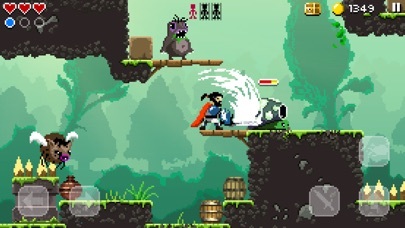 The platforming is spot on and the combat is satisfyingly weighty for this kind of game. There are loads of secrets and reasons to replay levels and the graphics are phenomenal. Honestly, there's no reason at all why it's only 99c, I'd happily pay a fiver for it so I can only recommend it over and over again. Of course, your opinion does carry a lot of weight in my wallet..so yes, this one is a must buy for me as well. Secrets? Replay? Phenomenal graphics? 99c? Oh my. Finally a paid game tonight, lol. I already doubted it's coming out since it took so long to show up. 30 minutes! Remember I said I'd post some detailed impressions a couple of days ago? Yeah...work got in the way of that. Obviously. I apologize for that. Sword of Xolan, eh? Where to start, where to start? Right off the bat, while it's very easy to compare it to Goblin Sword and dismiss it for being "Just more Goblin Sword". It isn't. That comparison is not fair to the developer, nor the game itself. 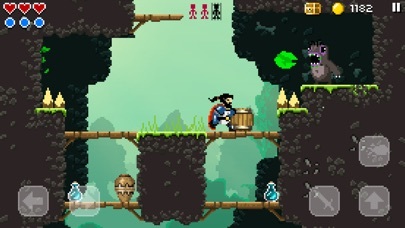 What you have here is a game that's made from the same mold as Goblin Sword, possibly even inspired by it...but not it. What SoX does is complements GS. Perfectly. 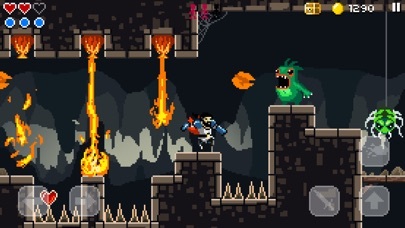 Two of the best platformers on iOS. I seriously could not imagine replacing one with the other. Yes, the game hasn't even come out and I'm saying that. Alper Sarikaya had nailed the auto-running platformer with the Manuganu series and I don't know if any of the physics (if that's the wrong term, forgive me...I'm trying to sound like I know what I'm talking about. ) in those games had anything to do with SoX, but it doesn't take more than 10 seconds of playing to be rest assured you're getting controls that are just as good as the graphics. 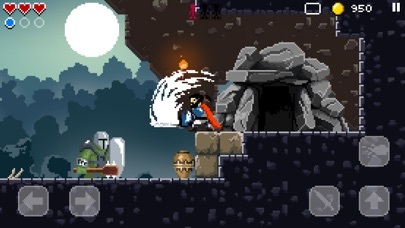 I'd even go as far as saying that the controls here are just a tad bit tighter than Goblin Sword's. Like Pete mentioned earlier, the weapons have a satisfying weighty feel to them. Another example is walking through water. As soon as your feet touch water, you to go slower....almost urging you to press the directional buttons harder. It all feels "good"...you know? What's the game about? 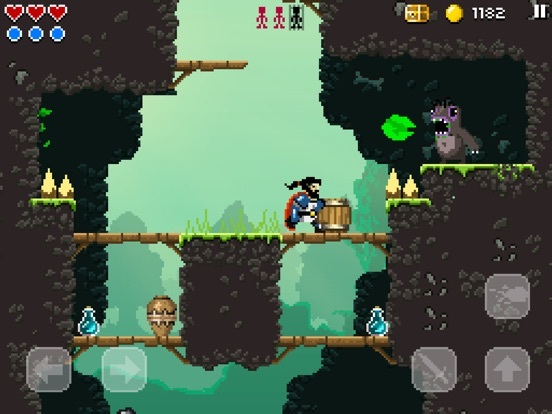 Well...each level contains 3 people to save, as well as a treasure chest to find. While the treasures are generally harder to find scattered around the levels, the folks you're looking for aren't all visible. You'll have to search every nook and cranny (yes, even behind false walls) to find these guys. 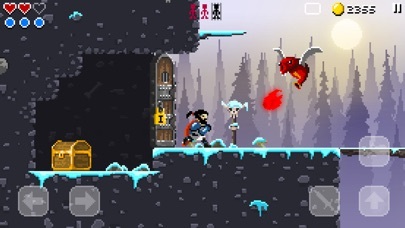 Much like Goblin Sword, it's refreshing to have a platformer on iOS that doesn't fault you for taking your time. It's not a twitch platformer like the Mikey games, Mos Speedrun, etc. and doesn't have tiny bite-sized levels like the League of Evil series. What you have instead are beautiful, complex, somewhat massive levels that are all about exploration. 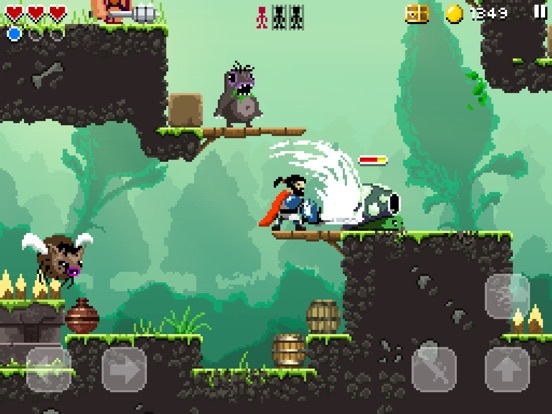 As far as enemies are concerned, this is yet another rare game that throws dozens of different enemies, with different attack patterns at you within minutes of playing the game. 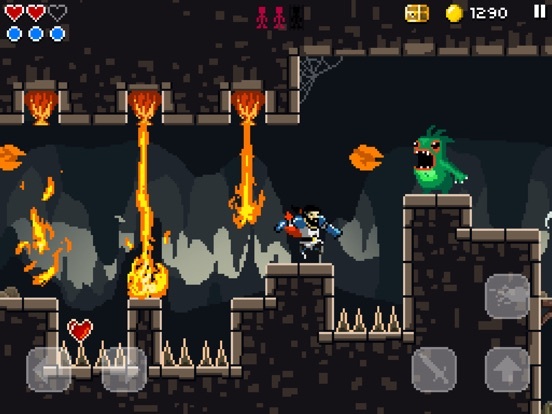 By the time you're through with the first set of levels, you'll already have seen more enemies than you would in entire iOS games! Of course, there's absolutely nothing to say about the visuals. If pixels are your thing, you'll be salivating within moments. Everything's gorgeous, vibrant, alive and expertly animated. The music is a perfect fit too, serving you with an almost celtic-like experience. The one thing I found surprising are the voiceovers, from the narrated introduction to the in-game one liners. Now, this is where I'm not entirely sure I love something. I'm not gonna fault the developer for the slight grammatical errors in the introduction (since I'm 99.9% sure this is a Turkish based developer), but just with every other game in history...there's only so much repetition you can handle. The overall tone of the game is not really serious so I'm not saying one-liners such as "It's party time!" feel out of place, but...well, let's just say I've heard "This is what I needed!" one too many times. Oh, and if this is indeed the voice of our hero, how is he saying "Rest...in peace" when he's already dead? I dunno if it's just me, but I would've absolutely loved if the voiceovers were in the developers native tongue, with all the text in English. It would've felt more authentic and would've brought something new to the table, much like the voicework in Sine Mora. I don't think it's necessary to talk too much about the unlockable cards as EP already touched on that (and I've only unlocked one, to be honest), but I love where this is going. The card I unlocked gives you a single hint in each level to where one of the captives are. I can't wait to find out what the rest contain. Overall, I definitely, DEFINITELY give this my seal of approval and can't recommend this enough. When it comes out, I hope you guys will be showering Mr. Sarikaya with your $1 bills until he comes to the realization that $1 for a game of such caliber is absolutely bonkers. It's worth waaaaaaaay more than that. You guys are in for a superb treat next week. ^Pretty much what he said. 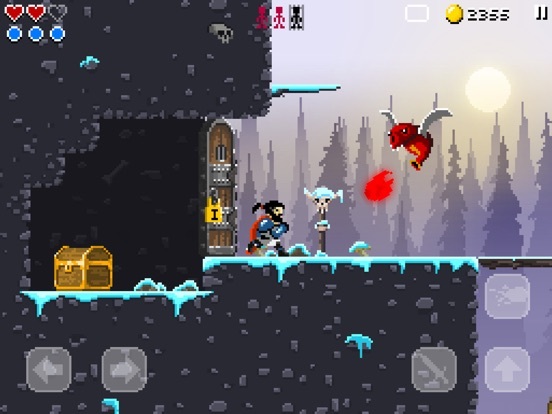 This may have lots of similarities with Goblin Sword, but everything here is done perfectly as well, that i cant replace either with the other and have to keep them both. Nice, I've been looking forward to this game, can't wait to buy it tonight. Now I'm just wait for Desktop Dungeons and the Talisman: Sacred Pool update. Whoa/woah, shame on me for neglecting to check out the upcoming threads. Nice surprise, though. Ah it's finally here. Glad to see positive feedbacks. I would've been sad if it turned out otherwise. I'm def getting it now. I want to buy buy buy!! 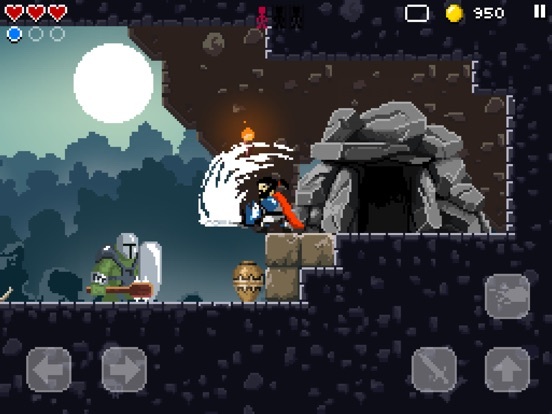 How does it exactly compare to Goblin Sword? Is it a longer game or shorter game (How about level length)? I felt I got through GS a bit too quick, though it was still enjoyable. And is there any RPG customization? I looked at the gameplay video and the screenshots and it was hard to tell if there was any (or I missed it). No aesthetic changes? Why have I never heard of these guys? Of course, everyone loves Goblin Sword, so this thread immediately caught my attention. But then looked up Manuganu and MY GOD! These guys are mobile gaming wizards. If you haven't tried Manuganu, at least give the lite version a shot. CANNOT wait for this one in a few. Again, Manuganu 2 is like... WHOA! Already wanted this game but didn't realize it was from the Manuganu creators. Still have 2 on my phone, both are incredible. One more hour and this is mine! Thanks!